One of the first things potential customers want to know when they speak to us is: how much will a new kitchen cost? This is a difficult question to answer as every kitchen, house and customer is unique. We will try and explain as best we can how the pricing works. A good way to start thinking about this is by comparing the purchase of a new kitchen to a new car. Prices can vary drastically for the same model of car when you consider all the options available. What starts out at a £10,000 car can easily become £15,000 or more when features are added. People are prepared to pay this higher price knowing they have chosen what they need and want. Their car will provide them with quality, comfort and ease of use. This is especially important when you consider how long the average person spends in their car. Designing and purchasing a new kitchen is a similar prospect. In recent years the kitchen has truly become the heart of the home. It’s a social hub where families and friends meet to cook and dine together. Cooking has become an inclusive, fun and shared experience. Just as we want a car to look nice and be enjoyable to drive as well as being reliable and practical, we now want our kitchens to be central to our lives, an exciting and beautiful room to spend time in, with intuitive features designed to make our lives easier. Just like our cars, we spend a great deal of time in our kitchens and this makes it even more important to invest in a quality timeless kitchen that will bring maximum happiness with minimum maintenance for years to come. 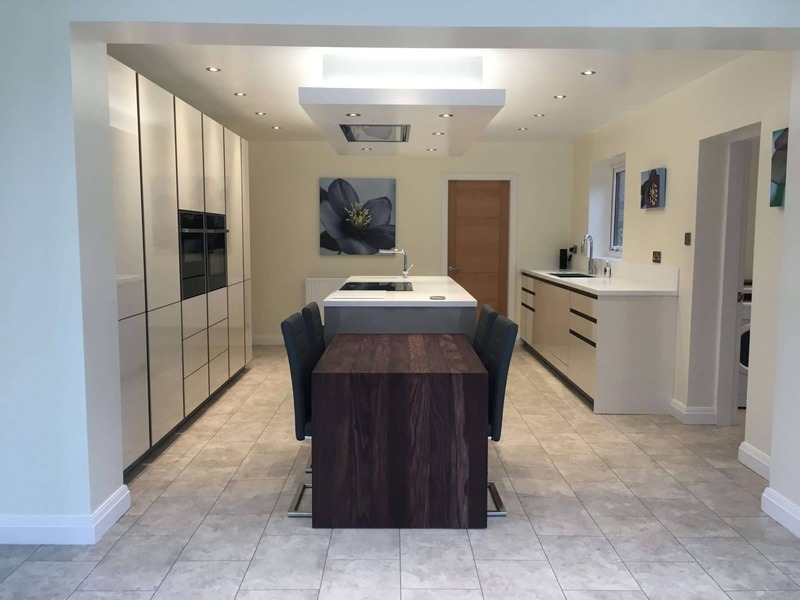 Many people look for the cheapest kitchen and the cheapest labour, unaware that this can often be more costly in the long run as well as requiring sacrifices being made on aesthetics, quality and guarantees. Cheaper products can be lower in quality and therefore not last as long and there may be no aftercare service to deal with problems that could arise in the future. We spend a great deal of time in our kitchens, so it’s even more important to invest in a quality timeless kitchen. A kitchen that will bring maximum happiness with minimum maintenance for years to come. Many people look for the cheapest kitchen and labour, unaware that this can be more costly in the long run. Sacrifices may also need to be made on aesthetics, quality and guarantees. Cheaper products can be lower in quality and therefore not last as long. There also may be no aftercare service to deal with problems that could arise in the future. This is just a snapshot of the many options available which extends even further if a kitchen extension is desired. Before someone receives a proposal from us we would invite them to come and look around our showroom for inspiration. You can then see how the kitchens look in real life, rather than just in a brochure. We would arrange a free home design consultation where one of our architectural designers visits your home to help you visualise what’s possible. There is no obligation to move beyond the planning stage at this point. It’s simply our way of helping you imagine what your new space could look like. Our designers and surveyors thoroughly examine all the options in an open and transparent way, so you can be assured that every aspect of the project and its importance is considered. We offer a full service, meaning that we take care of everything from the design to building, installation and aftercare. Every project is bespoke and tailored to the customer’s specific needs and wants. Most customers will spend between £15,000 and £50,000 for a new kitchen with the large majority falling between £20,000 and £40,000. For an extension with a kitchen, customers usually spend between £35,000 and £80,000 with most spending between £40,000 and £60,000. This is just an average. The exact cost will vary depending on what a particular customer is looking for and the features they have chosen. As you can see, the price ranges vary quite a bit, just as they should considering everyone has different tastes, wants, and budgets when it comes to building an extension or installing a new kitchen. The best way to understand how much a new kitchen would cost is to have a chat with our designers. They will talk through what you’re looking for and what your budget is. This way they can help you picture what’s possible and give you an accurate cost by taking into account the different features you’re after.